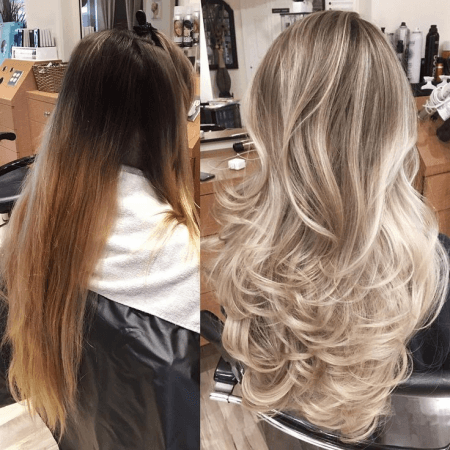 Unless you’re a professional hairstylist or a salon regular, you probably do not know that there is such thing as partial and full highlights (if you do, kudos!) 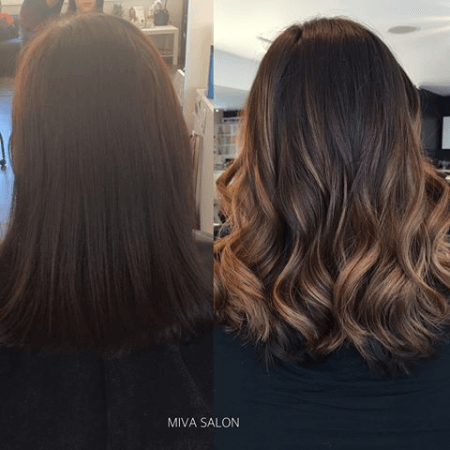 because, most of the time, we just hear the term “highlights.” So, what is the difference between partial and full highlights? This article will answer that question. Partial highlights are highlights that are only applied to a particular section of your head. Depending on the look you are trying to achieve, it could be applied to the top portion, side, top half, mohawk section, or the front section of your hair. Partial highlights are intended to mimic how the sun lightens the hair naturally. They can also be applied to draw attention to or “highlight” your features. For instance, highlights around the face can have a brightening effect, while highlights applied to the ends of the hair may give it a sunkissed look or flowy texture. Partial highlights can be very subtle and natural looking because your hair’s base color still dominates. They can also be dramatic and bold, especially when a contrasting color is applied (e.g. blonde highlights are applied to black hair). Because partial highlights do not cover your entire head, the service is fairly affordable and low maintenance. The process can be done in several minutes to an hour. One downside of partial highlights, however, is that you may have to keep one hairstyle to make them visible. For instance, if you gather your hair up into a ponytail, the partial highlights may not be visible or may not have the desired effect. Full highlights are highlights that are applied throughout your entire head. This includes the strands on the surface and underneath your hair, from the nape to your hairline. This means that even if you change your hairstyle, your highlights will always be visible. Full highlights can be used to slightly lighten or darken your hair or to add natural-looking dimension and texture to your hair. They can also be applied to create that bold look, especially when an all-over color change is done. For instance, if you are a natural blonde and you want to go brunette for a few months, full highlights are perfect to help you achieve that look. Because full highlights are applied all around your head, the service can be expensive, time-consuming, and high maintenance. What, then, is the difference between partial and full highlights? The greatest difference between the two is that partial highlights are only applied to certain parts of your head (top, side, back, ends, etc.) whereas full highlights are applied all throughout your head (from the hairline to the nape, including the hair underneath). This means that if you have partial highlights and you style your hair differently, the highlights may not be visible, unlike full highlights. Because the base color of your hair is not altered in partial highlights, they have a more subtle and natural look than full highlights. Partial highlights can give you that sunkissed look (as if you just came back from a vacation in the tropics) or may give your hair a flowy texture. They can also simply draw attention to certain features in your face or hair. Full highlights, on the other hand, have bolder and more intense effects, especially when the base hair color is changed. The process of applying partial highlights is quicker and more affordable than full highlights. The service is also usually more affordable than full highlights service at the salon.